More than a month has passed since employees across the nation walked out of refineries, citing concerns about industry wide disregard for employee safety. “If something goes wrong at the plant, the guy who saved the company a few bucks on safety equipment still goes home in a nice Cadillac, and I go home in a box,” said Joshua Lege, a striking worker when discussing the disconnect between executives and rank and file employees. Ordinarily, discussing corporate disregard for safety is heavily discouraged by company policy, but the strike has given employees unusual amounts of media attention. As a result, employees have been able to shed light on what really happens behind the gates of oil refineries, and that reality is quite frightening. The Emergency Notification System, or ENS, at Houston’s 700 acre LyondellBasell refinery is a warning system installed to notify workers of medical emergencies, fires, and vapor releases. In practice, this is meant to put emergency workers on alert and give anyone nearby the opportunity to protect themselves from potentially hazardous chemical vapors. Flaring is the common and unclean practice of burning off flammable chemicals when pipes and equipment are overpressurized, usually the result of hardware failure. According to refinery workers, if you see a large and sustained flare coming from a refinery, it typically means that repair crews are having a rough day and that you may want to avoid breathing in. 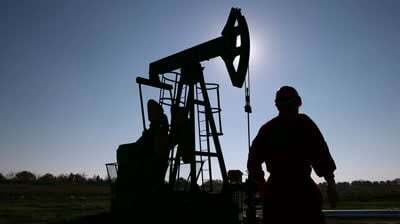 Essentially, the refinery has become much more dangerous in the hands of untrained workers. Unfortunately, there is reason to believe that the statistics are not genuine, as LyondellBasell will go to almost any length to manipulate their public image. In order to reduce the likelihood of striking employees continuing to report incidents, LyondellBasell recently implemented a new policy. ENS speakers near the front gate where picketers stand were disabled. Though they can still be heard far off in the distance, the notifications are too far off for picketers to identify whether or not they indicate the release of dangerous vapors. 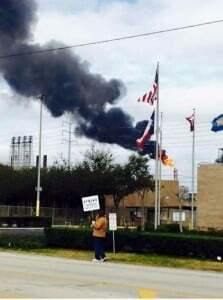 In addition to protecting LyondellBasell’s public image, this can seriously endanger strikers and the nearby community, as vapor clouds can travel for miles before dissipating, and often contain hazardous carcinogens. LyondellBasell has managed to find ways to threaten the health and safety of employees even after they’ve left the plant, because if (or more likely when) the plant feels the need to flare dangerous chemicals, picketers can expect to be gassed without warning just like protestors in Ferguson. If LyondellBasell is willing to risk the health and safety of their employees in order to fudge their safety statistics and avoid accountability, what else might they be lying about?